Faux NBA: Caveat Emptor, Got Game? Or Gotcha? With the end of the National Basketball Association season fast approaching and the endless play-off season on the horizon, how some of the teams got their names is always a fascinating topic. Read on and learn more. Back in the day, as some are apt to say, I was interviewing and writing Red on Red. It was the autobiography of the legendary coach of the New York Knickerbockers, Red Holzman. He is still the only coach to ever win an NBA title with the Knicks; in fact, he won two. Red was a walking history book when it came to pro basketball. He was especially informed about league trivia. He also knew had to spin a tale. Before his days as Knick coach, Holzman plied his trade as a pretty good scout for the team. "I was scouting a kid from Czechoslovakia," Red said. "We decided to give him a vision test. I got hold of an eye chart and told the kid, 'All right. Let's hear you read the bottom line.'" " 'Read the bottom line?' he asked, 'I know him.'" If you got that joke, read on. All kinds of team nicknames grace, deface, maim, highlight or punctuate the landscape of the National Baseball Association. Some are more interesting than others. Some have been "shortened" or "modernized" as time has gone by. Still others are no longer relevant for the franchises they represent. Some clubs have moved from city to city and stayed with their original nicknames. That makes for some both interesting and confusing combinations—Lakers, a major case in point. What follows is basically a pithy primer. Enjoy. Questions, comments, suggestions—all are welcomed. There's a great trivia question: Name the two NBA teams still playing in their original cities. The answer: the Knicks and the Celtics. The name Knickerbockers dates back to when New York was known as New Amsterdam, and the city's Dutch settlers wore trousers bunched up at the knee known as "knickers." 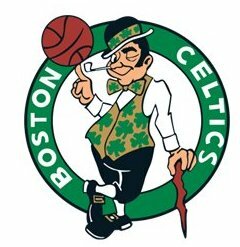 The name Celtics originated in 1946. It was was given to Boston's pro basketball entry by Walter Brown, the franchise's founder. "We'll call them the Boston Celtics," he said. "The name has a great basketball tradition, especially when you think of the original 'Celtics' team. Boston is full of Irishmen; so we'll put the players in green uniforms and call them the Boston Celtics after their Celtic ancestors." The Atlanta Hawks have a long and circuitous name history. They were once the Hawks of St. Louis. Before that they were the Milwaukee Hawks. Even before that in 1948, they were the Tri-Cities Blackhawks. Moline, Illinois; Rock Island, Illinois; and Davenport, Iowa were the "tri-cities." All the way back in 1831, the Blackhawk War was fought in that tri-cities area. That led to the original Blackhawks nickname, later shortened to Hawks. A nine-season member of the NBA, the Rochester Royals moved to Cincinnati and kept the name Royals. In 1972, the franchise moved to Kansas City, Missouri. To avoid confusion in the KC region because both the Kansas City and the Omaha baseball teams used the name Royals, the name was dropped. The new name for the franchise became the Kansas City-Omaha Kings, later simply the Kansas City Kings. A decade later, the team moved to California and became the Sacramento Kings. Not many are aware that a Denver Nuggets team was a charter member of the NBA. But that franchise lasted just one season. When the Denver Rockets of the American Basketball Association was admitted to the NBA, they had to change their name because the Houston Rockets already existed. So the Denver franchise took the "Nuggets" name of the original franchise. Charlotte, Miami, Minnesota and Orlando all have interesting "name" stories. Originally, the Charlotte team was named the Spirit. The name didn't stick. Hornets was a name selected in a contest launched among fans. Runner-up choices included: the Charlotte Gold, the Charlotte Knights, and incredibly the original name, the Charlotte Spirit. Miami also held a name-the-team event. Some of the names that didn't make it included Palm Trees, Beaches, Suntan and Shade. Over 6,000 entries were suggested for the Minnesota team name. The choice was Timberwolves vs. Polars. Timberwolves easily won. That animal is native to Minnesota. No other professional sports team ever thought to use the name. The Orlando Sentinel sponsored a name-the-team contest. Magic and Juice were the finalists. Orlando general manager Pat Williams explained why Magic won. "Magic is synonymous with the Orlando area. We have the Magic Kingdom in Disneyworld, and the tourism slogan here is 'Come to the Magic.'" Some claim that the Chicago Bulls got their name from stockyards in that Windy City. It was actually the franchise's first owner Richard Klein who came up with the name in 1966. The rookie mogul liked "Bulls" because it suggested power and toughness. And his wish was to have a team sporting those qualities. The Pistons came into being in 1948. They were known as the Ft. Wayne Zollner Pistons. It was a case of an owner naming a team for himself and the business that he ran. Fred Zollner owned a huge piston-manufacturing company. In 1957, the team moved to Detroit, and Pistons moved right along with it. Way back in 1925, there was a Philadelphia Warriors team in the American Basketball League. In 1946, Philadelphia joined the NBA and took its nickname from that old team. Many years and many miles later, the Golden State Warriors are a descendant of the old Philadelphia Warriors. They've gone through a couple of geographical shifts. Philly became the San Francisco Warriors, San Francisco became the Oakland Warriors and Oakland became the Golden State Warriors. Some years back a newspaper guy suggested a trade of team names. The suggestion had merit, but it did not fly. The idea was that the Utah Jazz become the Utah Lakers and the Los Angeles Lakers become the Los Angeles Jazz. Actually, both Utah and Los Angeles have names from cities both franchises vacated. Utah came into being in 1979, when the New Orleans Jazz moved there. The Utah Jazz kept their name and team colors. The Minneapolis Lakers made the move to L.A. before the 1960 season and took with it its nickname that comes from the state of Minnesota's motto: "The Land of 10,000 Lakes." There aren't many lakes in L.A. or that much jazz in Salt Lake City—so maybe that newspaper guy really had a brainstorm. The three Texas NBA teams got their names this way. The Houston Rockets were once the San Diego Rockets. The name has worked well for both franchises—linked to space programs and industries. The San Antonio Spurs got their short name in a public naming contest—a name that makes you think of Texas, and the same is true of the Dallas Mavericks who originated in 1980. A Dallas radio station sorted out many suggested names in a name-the-team contest and picked Mavericks thinking it had Texas flavor. In 1963, the old Syracuse Nats were sold and became the Philadelphia 76ers. Anybody who knows anything about American history, knows why Philly got that nickname. In 1968, the new Phoenix franchise offered a minimal cash prize and a couple of season tickets to the winner of a name-the-team contest. "Suns" won. Runner-ups included Scorpions, Rattlers and Dust Devils. Finally, the New Jersey Nets began as the American Basketball Association entry known as the New Jersey Americans. In 1968, the team left New Jersey and moved to Commack, Long Island and were renamed the New York Nets. The rationale was that since the New York metropolitan area had the football Jets and the baseball Mets—why not the basketball Nets? Just before the 1977-78 season, the franchise moved back across the Hudson River to New Jersey. There were some who thought the original name—New Jersey Americans—should be resurrected. But the name Nets moved right along with the team. Now the Nets are poised to move to Brooklyn, New York. They will not exactly be the replacement for the old Brooklyn Dodgers (who got their name because fans had to dodge trolleys near the ballpark). But the Nets will be playing basketball almost in the exact area that Dodger owner Walter O'Malley lusted for back in 1957 but could not obtain. So he moved his team to L.A. but kept the Dodger name...but that is material for another piece. About the Author: One of the most prolific and respected sports journalists and oral historians in the United States, author of the autobiographies of legends Nolan Ryan, Tony Dorsett, and Red Holzman, Dr. Harvey Frommer is an expert on the New York Yankees and has arguably written more books, articles and reviews on the New York Yankees than anyone. In 2010, he was selected by the City of New York as an historical consultant for the re-imagined old Yankee Stadium site, Heritage Field. A professor in the MALS program at Dartmouth College, Frommer was dubbed “Dartmouth’s Mr. Baseball” by their alumni magazine. Article is Copyright � 2017 by Harvey Frommer. All rights reserved worldwide.